Have Web and Mobile Apps? Let Us Manage Your GPS Data. 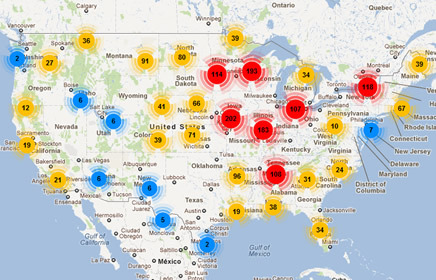 Logistrics processes millions of GPS data every month. We know how to index, store and pull up data quickly without impacting system performance. Your web and mobile applications can benefit from not having to deal with this time consuming task similar to how you would access and use a mapping service provider. Our experience is your advantage and reduces your time to market while enhancing performance reliability. GPS data adds up quickly. Maintaining the data, backing it up and scaling is a tedious process and requires the expertise of having dealt with large volumes of such data. Scale as quickly as you want without worrying about infrastructure, databases, backups or importantly worrying about system performance and responsiveness as you accumulate millions of GPS records. Real-time analysis of GPS data for events such as Geo-boundaries and speed is not easily scalable but with our experience we understand how to scale quickly. We analyze the GPS data for you in real-time so you can use the analyzed information to drive your applications and services and provide solutions to your clients. We can also provide reports that you can pull into your web application. We provide the insights and tools so you can provide valuable solutions to your clients. 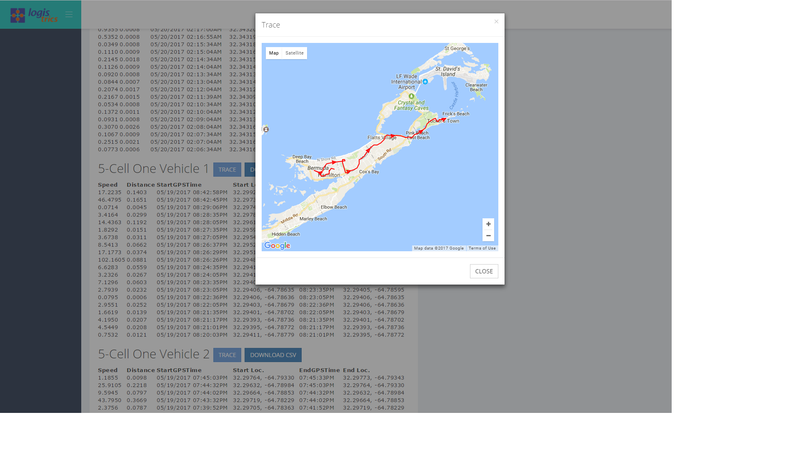 Track, trace, get insights into your GPS data in real-time. Currently, we are supporting GPS data handling and management via our platform. We also support speed reports, speed limit violation triggers and mileage reports. 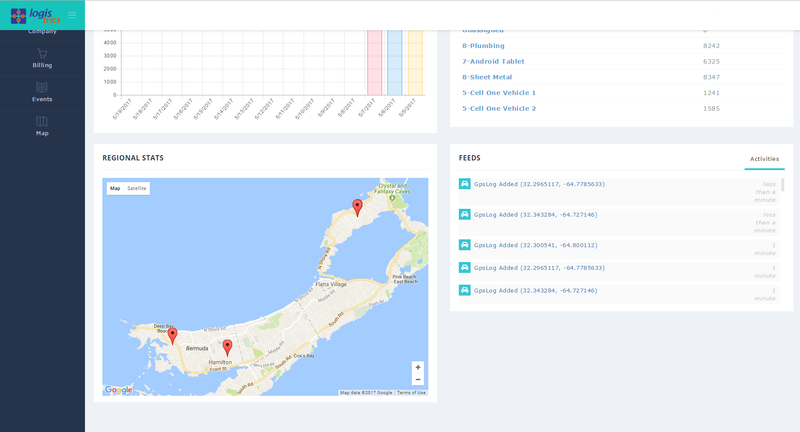 In the next few months we hope to add modules with the tools to support hours of service reports, hot spots illustrated on the map, most active hours, order management, dispatch, queuing, field services, mobile inventory and much more. 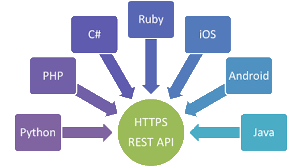 Our API’s are simple to use and require minimal effort to program. We will also be offering libraries in the near future which will make your effort even easier. Our test mode allows you to test and fix issues with your integration. Still have questions? Post on our Support Forum page and we will respond within 1-2 business days. Cost Effective Plans. Cancel anytime. Choose a plan that best suits your needs. All plans are affordable and include cloud processing, storage and access to API’s, tools and real-time reports. Our free plans are always free. Paid plans can be cancelled at any time. 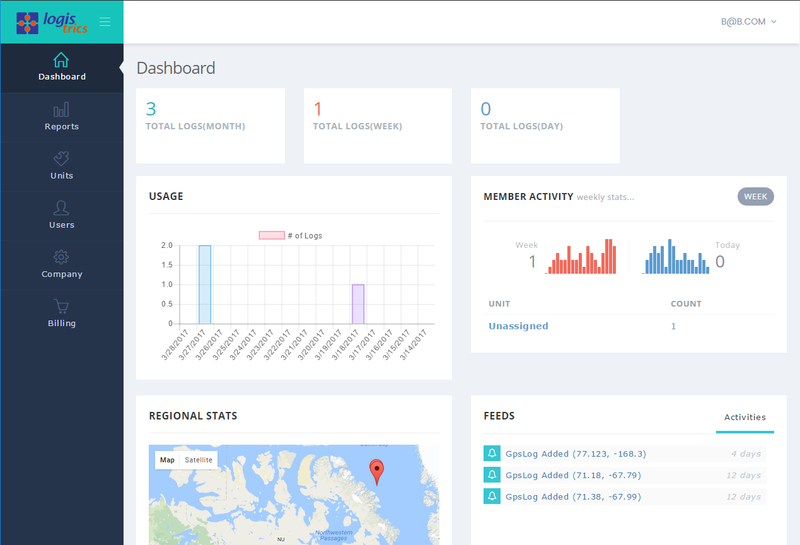 Our dashboards provide you access to all the information you need- reports, usage patterns, analytics and much more. Logistrics Address Autocomplete is a feature designed to make it faster to search within or enter addresses into your web or mobile applications. The auto-complete engine brings up selectable address suggestions as you’re beginning to type limiting the number of key strokes required to enter the address. 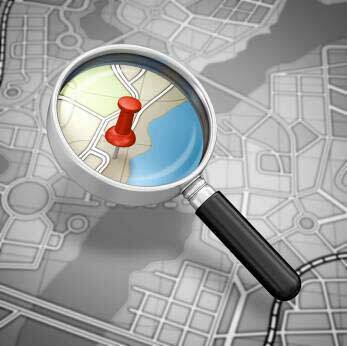 It uses search and location logic to bring up the most relevant address suggestions even as you begin to type. Are you interested in Logistrics? Get a 14 days trial. No credit card required.